Oh, and don’t forget there is a Raft Race to enter. Gerringong artist Penny Sadubin is bringing UNITY to this year’s Festival. UNITY is an interactive public art project, conceived by American artist Nancy Tessler Belmont and launched in June 2016. Since then UNITY has become a global movement, being recreated all over the US, in Canada, Scotland and at two other locations in Australia. It celebrates a community’s uniqueness and strengthens ties. 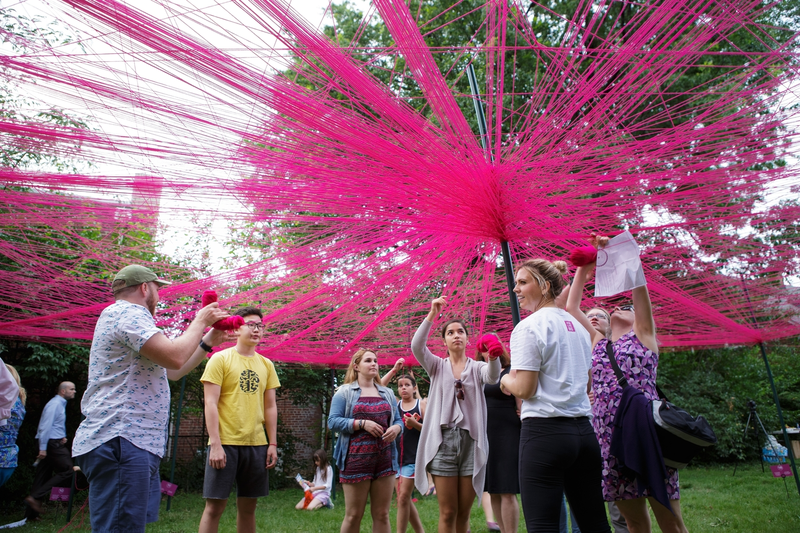 The project is based around community-specific labels (called signifiers) and explores how those labels create interconnectedness. “The signifiers are placed at each of the 32 poles so that participants can weave their own ‘journey’ between the posts that they respond to,” explains Penny. 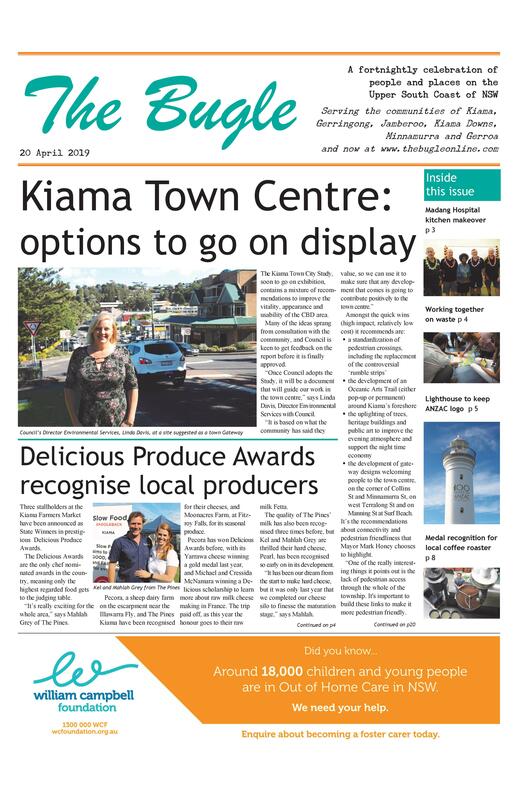 To ensure that UNITY Kiama has relevance to our community, she is asking the community to help write the ‘signifier’ statements that encompass all aspects of life. The resulting spider’s web of connections will be multi-coloured, using crowd sourced wool. The project will be sited adjacent to the AIR KISS Tent. Volunteers are needed to assist the public on the two weekend days of the festival event. Shifts will be for 2 hours. New to KISS Arts in 2017, the AIR (Artists in Residence) KISS Tent will shelter two free workshops under its roof. 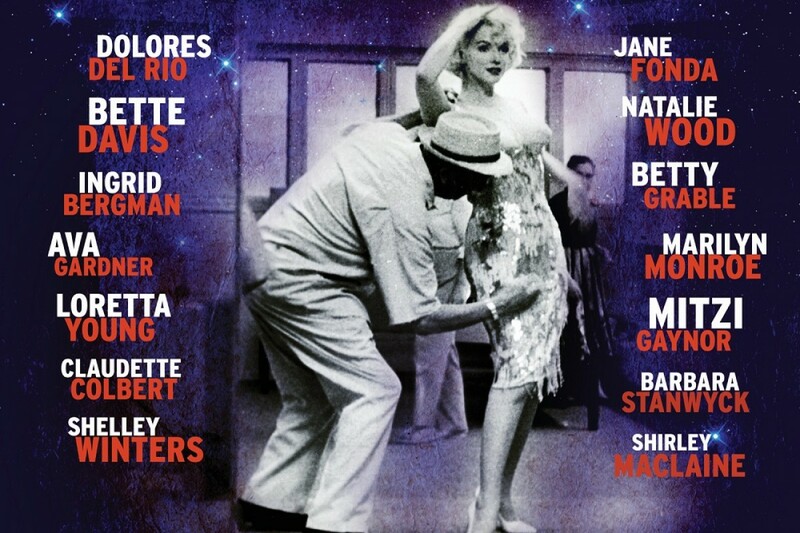 “In the Some Like It Hot costume studio, you can bring out your inner Orry-Kelly,” says the Tent’s initiator, artist Paula Gowans. 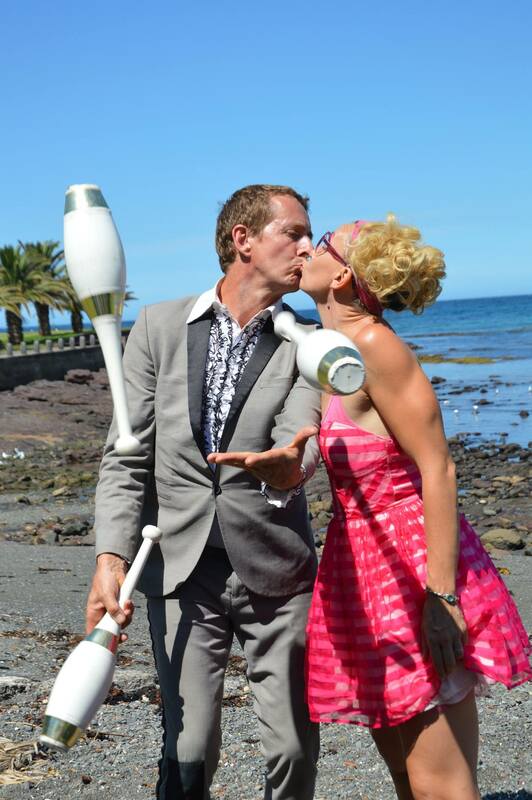 “Artist and Circus WOW performer Libby Bloxham will show you how. There will be a cos tume parade at the close of the Festival and special prizes for special creations. At the other end of the AIR KISS Tent, the Sketch-o-Rama Studio where you can draw your favourite KISS Arts performers who will model, answer your questions, and otherwise engage your graphic imagination. “You don’t need to know how to draw,” says Paula. “There will be local artists present to coach and encourage you. “This is a rare opportunity to try your hand at sketching people, some possibly scantily clad, in a distinctive setting,” says Paula. more artist volunteers to draw and to coach the drawing. Different styles and approaches welcome. A volunteer handyman to help move gear to and from the site and help make our built props and stage area safe. We would like to borrow clothing mannequins (men, women, children) and some seaside theme props for the models and their stage area. A beach chair or two and umbrella would be nice. Please email paulagowans@gmail.com or call 0412503881. Kiama Library has teamed up with the KISS Arts Festival to run a session for kids to make floating paper lanterns. Children’s Services Officer Elizabeth Skorulis says the floating lanterns workshops, inspired by the Loi Krathong festival celebrated in Thailand each year, are proving incredibly popular. “We’ll have local artists helping the kids make their own lanterns to take home,” she says. Details: The lantern-making workshops are free and are being held at the Library on Friday 21 April from 10.30am and at noon. They are suitable for children aged 6 to 16. Another lantern-making workshop will be held at the Kiama Farmers Market on 19 April.